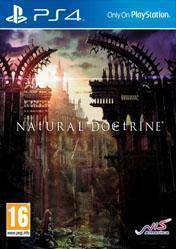 Natural Doctrine is a game that combines elements of RPG and strategy genre, and all accompanied by some truly stunning visuals that take full advantage of PS4 hardware. Our mission is to explore dangerous and claustrophobic underground tunnels to collect a coveted material known as Pluto. During our first trip to the depths of the caves riddled with this valuable element, we find that the work that we perform is not as easy as we expected, because we face an evil that dwells in the depths of these caverns. We will defeat it with strategy and using our mental abilities, before it's too late. There are no comments yet about Natural Doctrine. You can be the first one!